Every day, shelter volunteers save lives. They give hope to animals who have been abused and abandoned but don’t often get the credit they deserve. On Instagram and Facebook, these volunteers share the life stories of the puppies they meet – from being abandoned in Puerto Rico to finding true love later in life. Here are the real stories of these adorable shelter pups, shared from the people who take care of them every single day. Mizuki was surrendered because of severe allergies, and her owners just weren’t equipped to take care of such a special girl. The poor pup was suffering from fur loss because her allergies were so severe. Thankfully, she was taken in by the DC Siba Inu Rescue, who aren’t short on love and TLC. 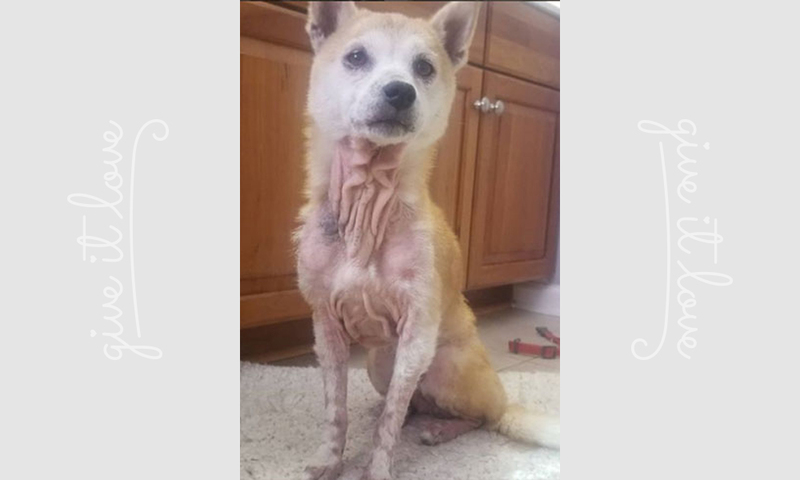 Upon entering the rescue home, Mizuki was given a warm bath, some yummy boiled chicken and bone broth. She spent the rest of her night cuddled up in bed. Despite the fact that the rescue were told she needed a muzzle for baths and nail trims, Mizuki was actually calm as a cucumber thanks to their reward-based training.